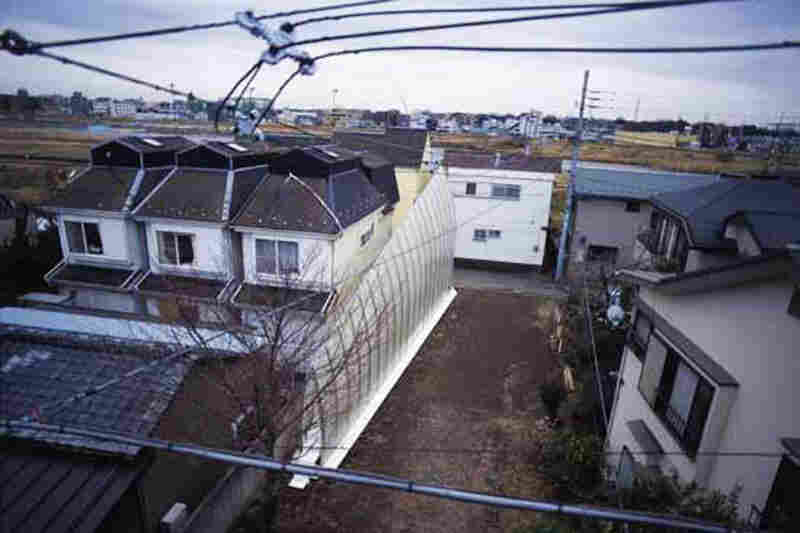 In Japan, Living Large In Really Tiny Houses Building a house on a lot the size of a parking space? 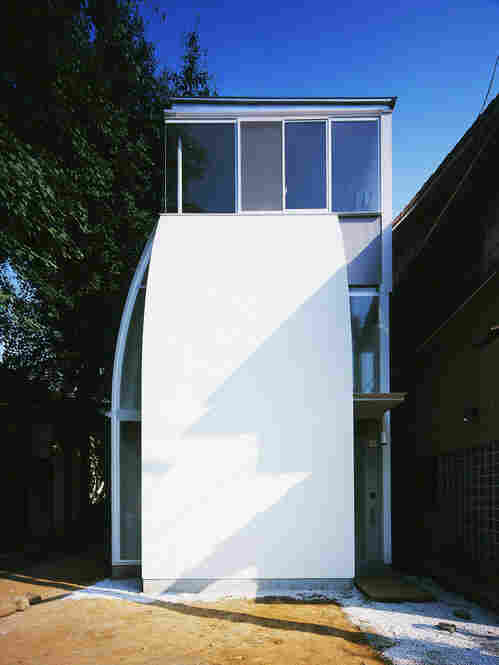 In Japan's crowded cities, where land is scarce, architects are turning necessity into virtue by building stunning and stylized homes on remarkably narrow parcels of land. 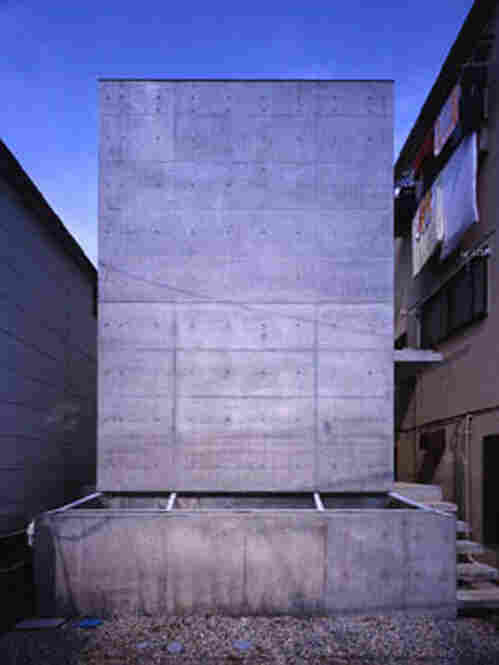 For his "Lucky Drops" micro home, YasuhiroYamashita reduced the exterior wall to an amalgam "skin" just millimeters thick. "Lucky Drops" sits between other more traditional houses.The name refers to "squeezing the last drop" of volume out of extremely limited space. The view into one end of "Lucky Drops." 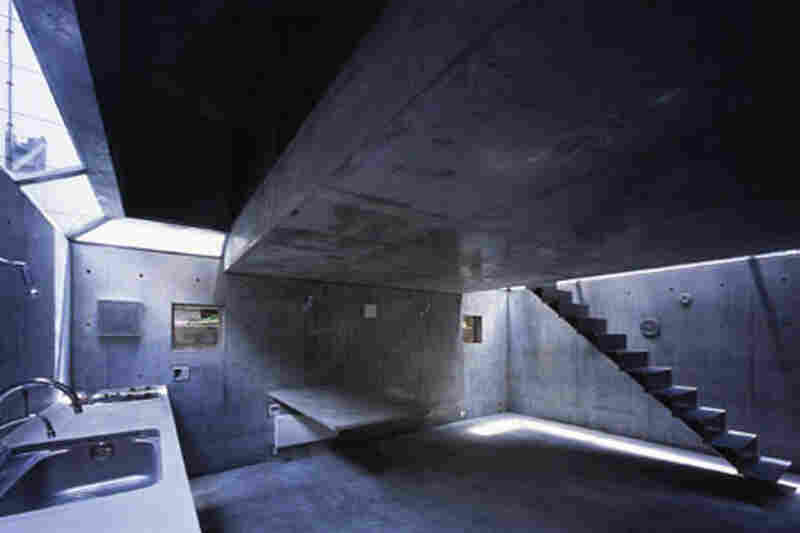 The kitchen and living room are situated underground, on the most spacious floor, yet are well-illuminated and ventilated. 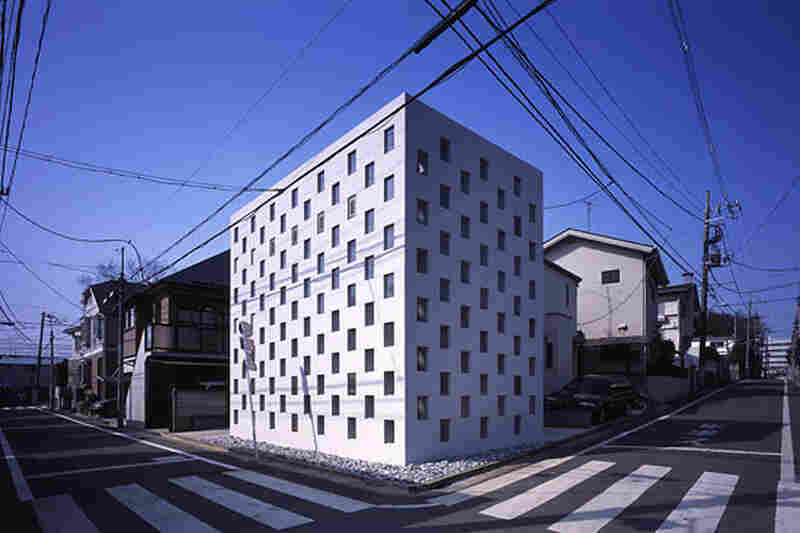 "Cell Brick" (exterior) is a three-story micro house in Tokyo built in 2004. 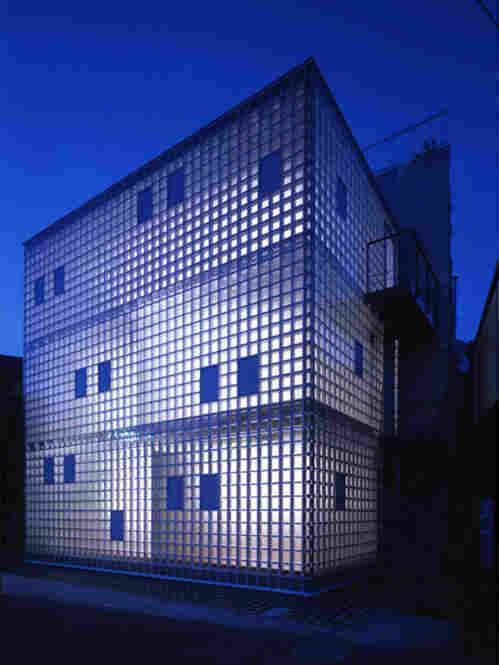 Architect Yasuhiro Yamashita says he "cross-stitched" steel and glass to create the eye-catching facade. Built-in steel boxes are whimsical yet practical answer to limited space in the "Cell Brick" home, providing storage and, in the architect's words, "eliminating monotony". 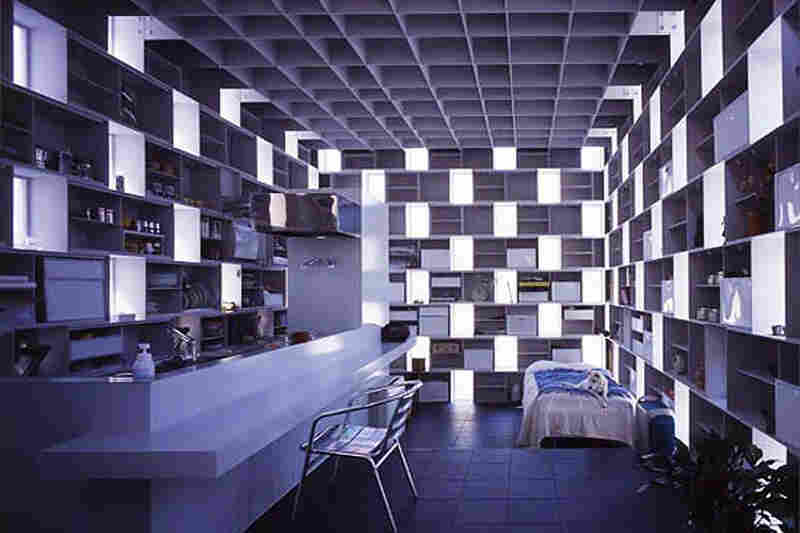 Named for the Belgian surrealist artist, the "Magritte's" micro home is meant to conjure up a gravity-defying concrete block. 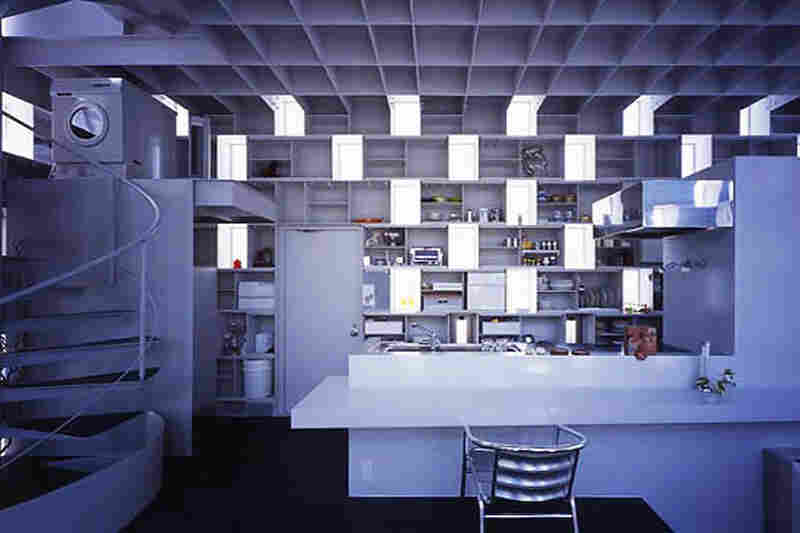 The homeowners originally requested that even interior fixtures, right down to the bathtub, be fashioned from concrete, but for cost reasons had to settle for just dining table and kitchen counters. 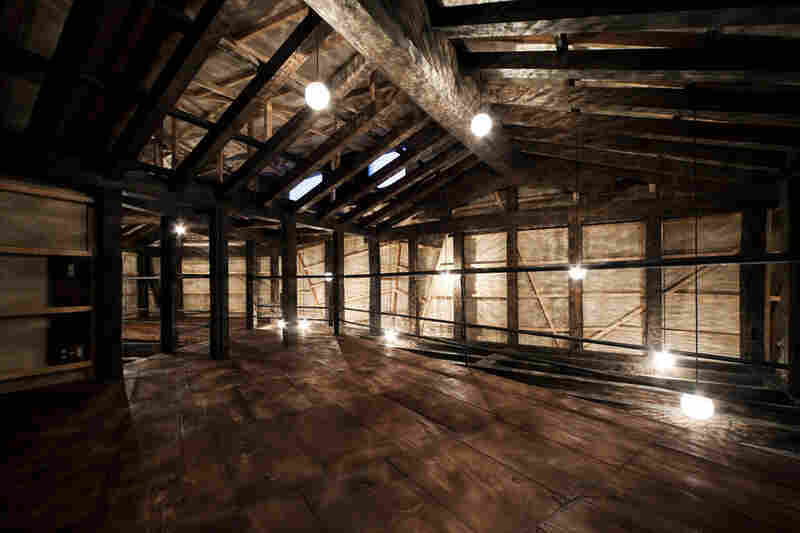 Architect Yasuhiro Yamashita experiments with unorthodox building materials. 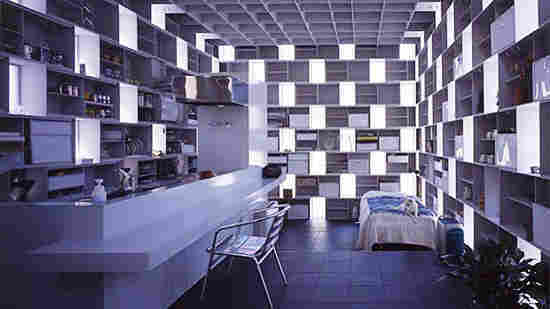 His "Crystal Brick" micro home, built in 2004, was constructed from air-filled glass blocks fitted into a steel frame. At night, it glitters. 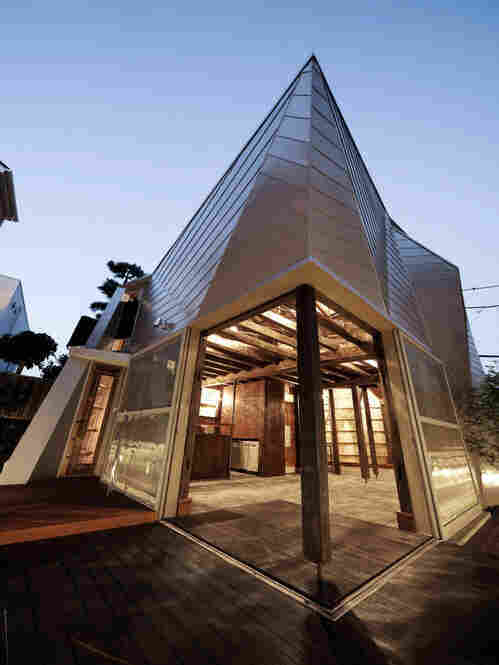 Built for a couple, the "Penguin House" micro home has windows situated to frame surrounding keyaki trees. 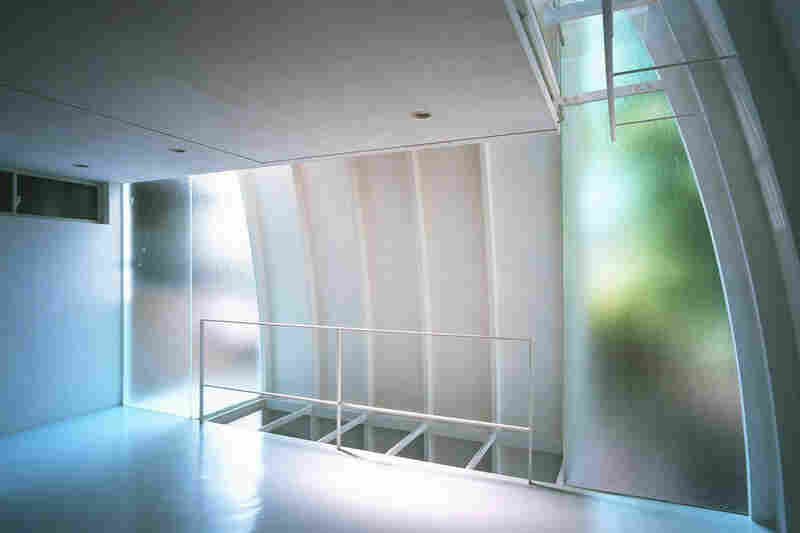 The first floor of "Penguin House" is a music studio, and the second floor is the bedroom. 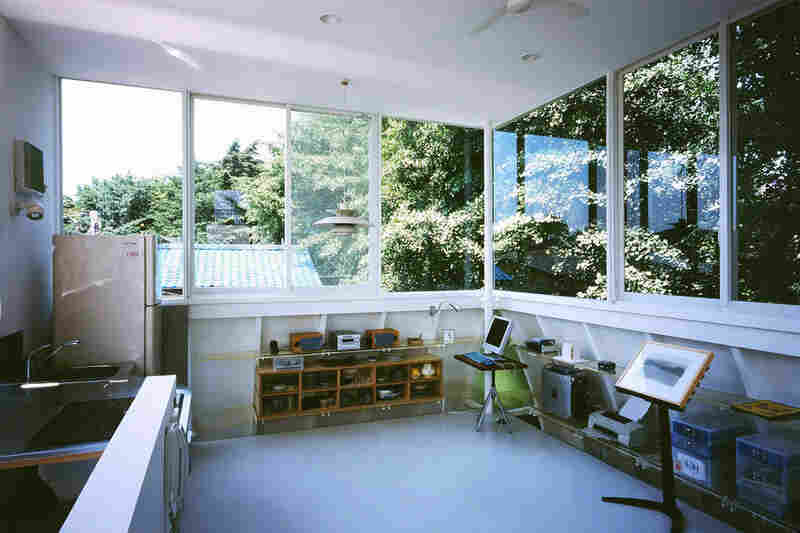 The sun-filled third floor of "Penguin House," with windows on all sides, contains the combined living room and kitchen. 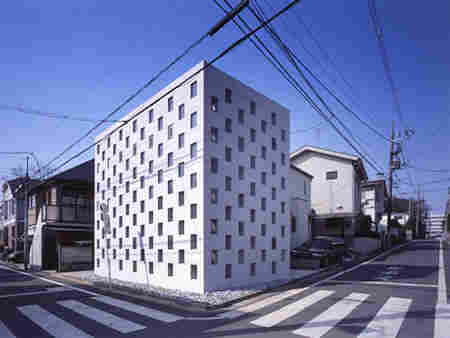 Timber recycled from century-old warehouses was used to build the frame for the "Yachiyo House" micro home. 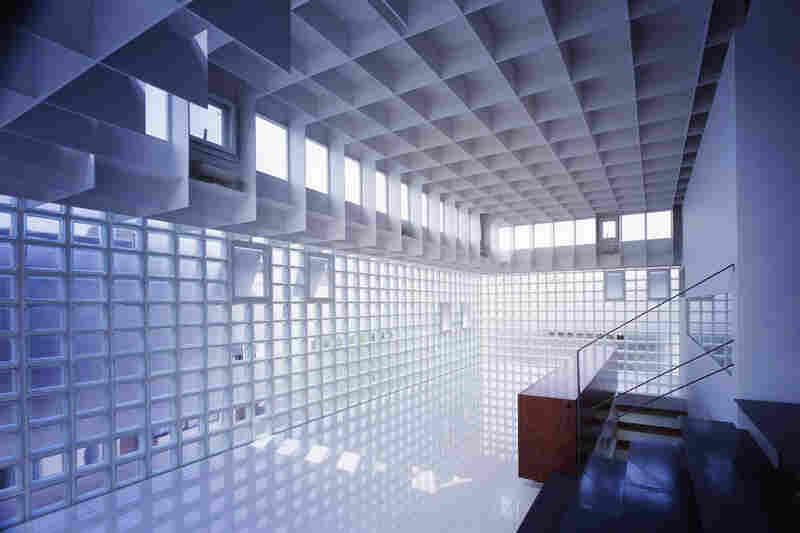 Yet the term "house" doesn't really do justice to these eye-catching architectural gems, fashioned from a high-tech palette of materials like glittering glass cubes, fiber reinforced plastic and super-thin membranes of steel. People tend to think of homes simply in terms of floor space. We architects think in 3-D.
"If you tried to build a normal house on a super-small plot of land, it would end up being really cramped. 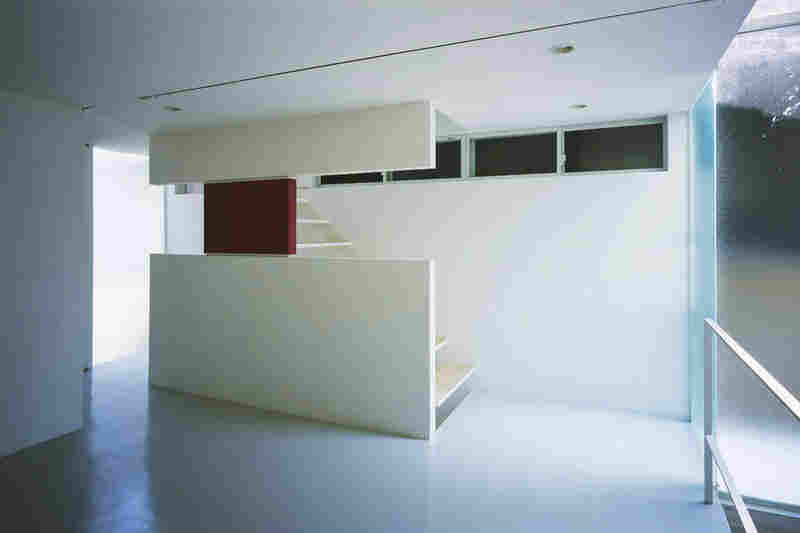 So in order to make the house as roomy as possible, we have to think up new structures and assembly," Yamashita says. 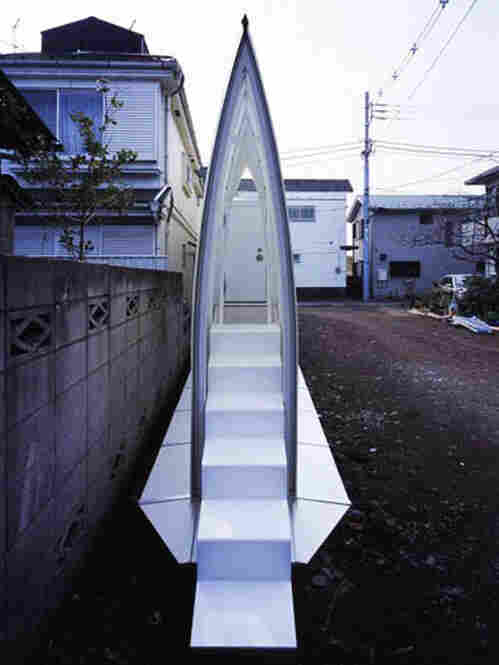 Yamashita built a long, skinny, cathedral-like futuristic home on a sliver of land just 40-feet wide, and named it "Lucky Drops." 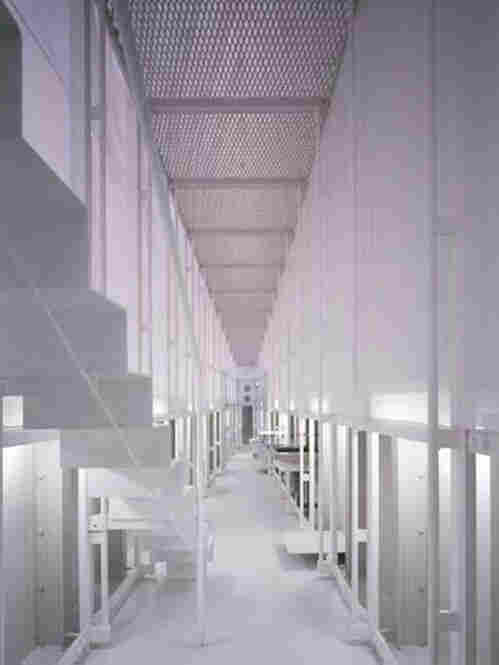 "'Lucky Drops' was built on an extremely long and narrow space. 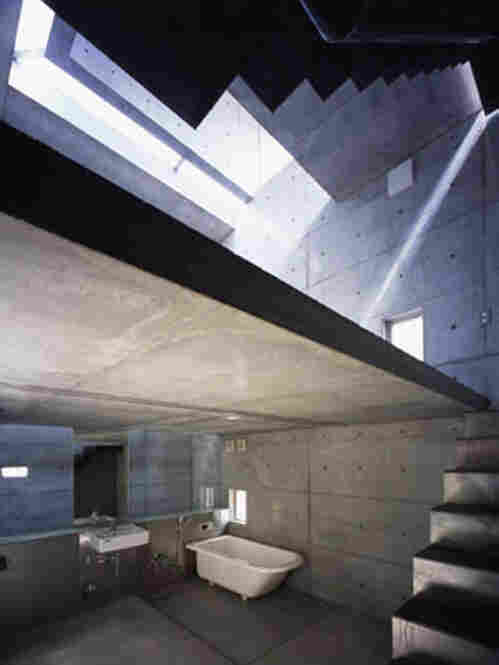 So light could enter only from the ceiling," Yamashita says, speaking in Japanese. "All the light comes in from the top. So the whole house becomes like a Japanese paper lantern." "We weren't interested in a big house in the suburbs. We were happy to have a comfy place downtown. It's not that we wanted to live in a micro-house, but it's turned out to be plenty of room for two and convenient," Minoru Ota says. Washing dishes at the counter -- it's also made of concrete -- Aki Ota says the house has proved warmer than they expected, but the novelty hasn't worn off four years into their residence. She says it's like living in an art museum. Azby Brown, author of The Very Small Home: Japanese Ideas for Living Well in Limited Space, says the phenomenon's impact on Japanese popular culture has been huge. 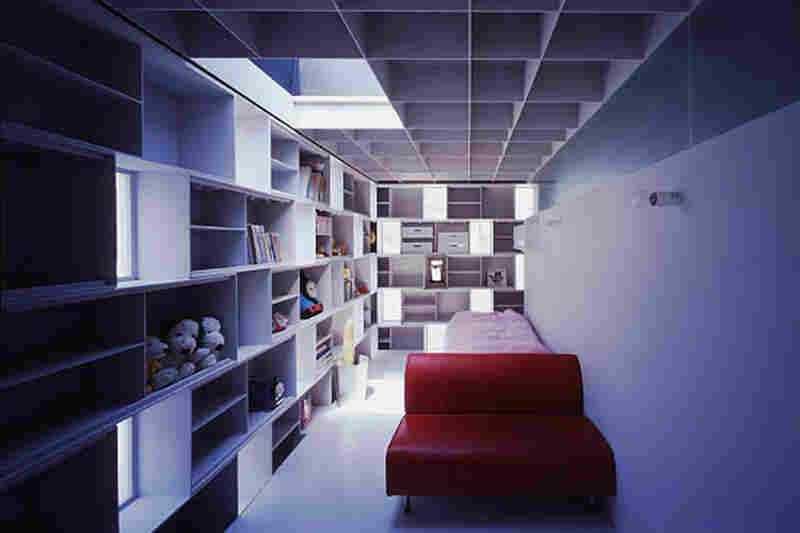 "People tend to think of homes simply in terms of floor space. 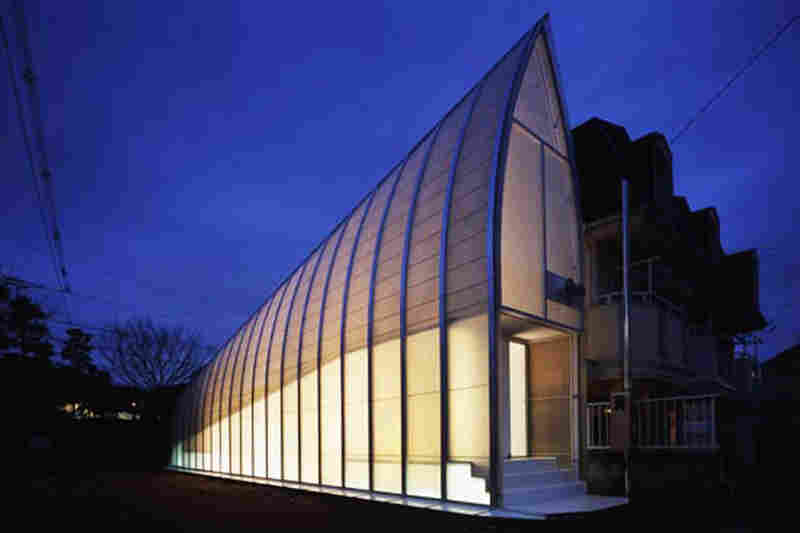 We architects think in 3-D," Yamashita says. 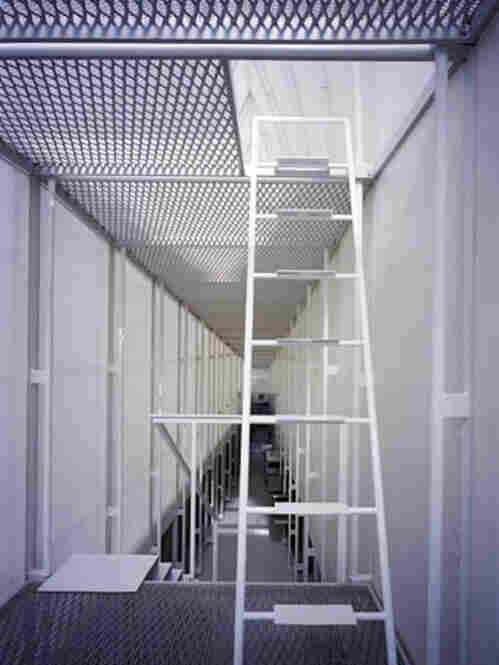 "Using all three dimensions, we can make a space look larger, and more functional. 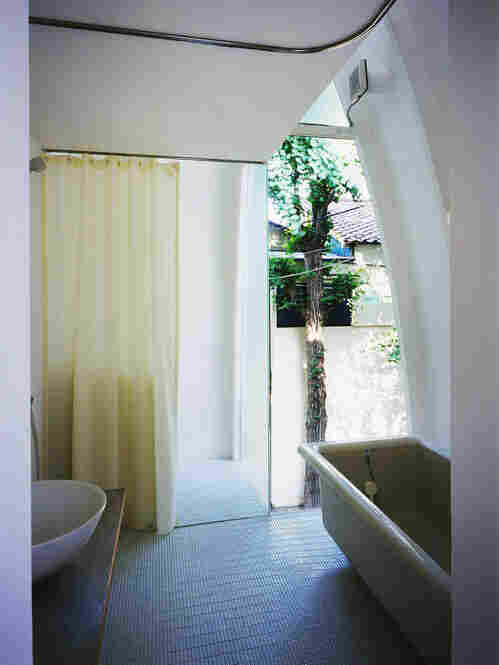 It becomes easier to devise ways of bringing in more light and air." "It's kind of a psychological jujitsu," Brown says. "That changes your sense of perception from the things that would make you feel claustrophobic perhaps, and rather focusing on the life and the people that you're with." "We are larger people physically than the Japanese, we do tend to need more space, we're less comfortable in some sitting positions, like sitting on the floor, than most Japanese are. But I think we could also accommodate ourselves to it," Brown says. As for the Japanese, who have updated their small-house design based on traditions such as the teahouse, they haven't just accommodated to ultra-tiny homes -- they now revel in them.